Only limited numbers of this video games console were made (in Europe only) during 1983. An American version called the Odyssey Command Center was never launched, due mainly to the video game crash of 1983 and fears that the console wasn't advanced enough to take on its competitors. 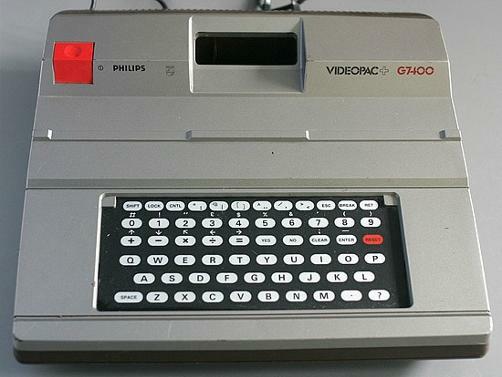 This third generation console replaced the G7000, and featured an Intel 8048 CPU which was also used in the North American version of the G7000, the Magnavox Odyssey. Memory wise there was 6kb of ram and 1kb of rom, and the maximum display resolution was 320x238. There was one channel of audio with eight different sounds available. G7000 games could still be played on the console, as well as G7400 only games and special games that could be played on both machines, but with a high background resolution that could only be displayed on the G7400. 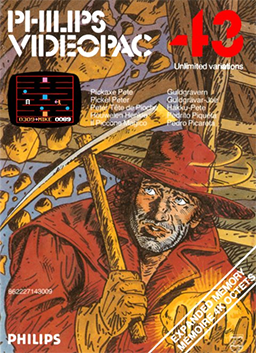 Around 70 games were available for the system including Pickaxe Pete (which was based on Donkey Kong) although most of these had been created for Magnavox Odyssey and not specifically for the Videopac+.